Every year East Midlands in Bloom (part of Britain in Bloom) hold awards for villages, towns and gardens across the region. 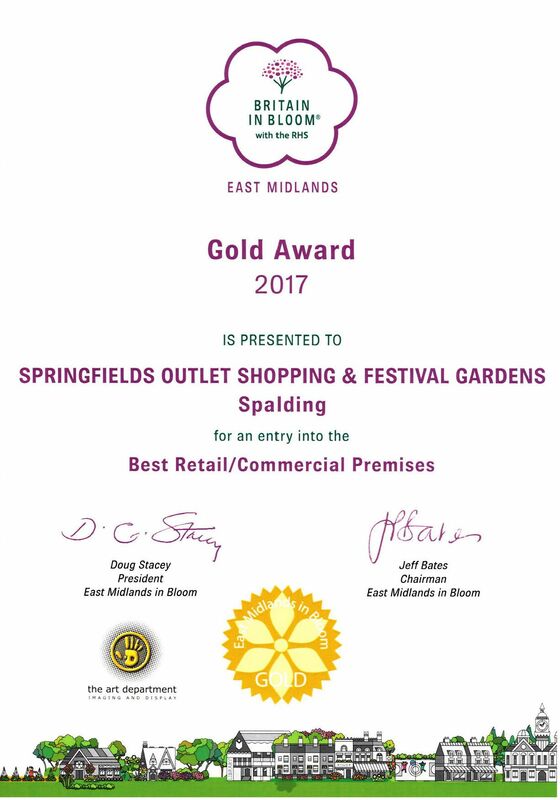 Springfields Festival Gardens together with the Springfields Outlet Shopping Centre are put forward for the Best Retail/Commercial Premises Award. This year and for every year since 2013 they achieved a Gold Award. 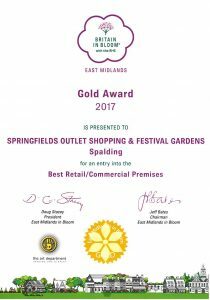 This a remarkable achievement and demonstrates how well standards have been maintained by the Gardens and the Shops. 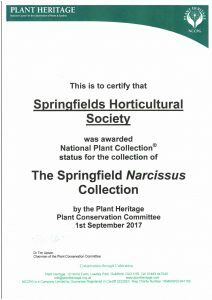 The Springfields Narcissus Collection holds upwards of 450 varieties of Narcissus. The Collection was formed following the closure of the Ministry of Agriculture Fisheries & Food’s Experimantal Horticulture Station at Kirton, near Boston. 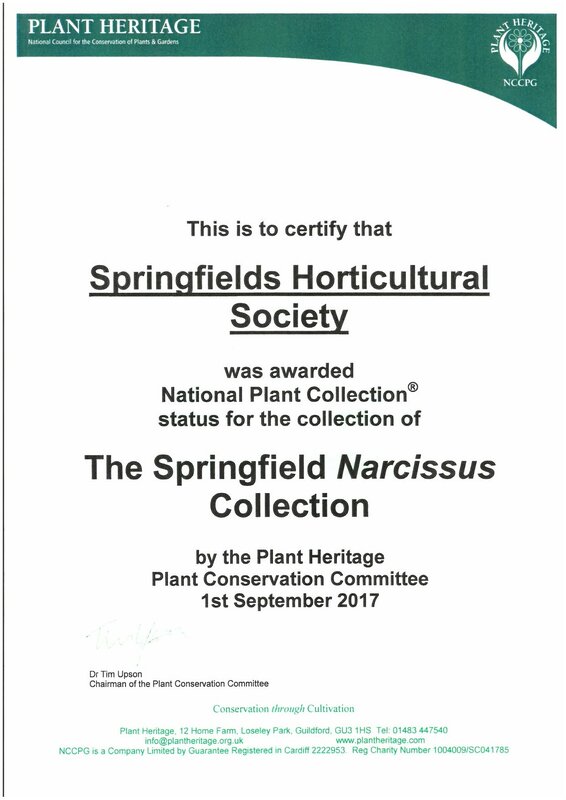 After the closure of the site half of the collection went to RHS Wisley and the other half came to Springfields Horticultural Society. The collection includes many unnamed varieties which were originally bred at Rosewarne Experimental Horticulture Station and the Glasshouse Crops Research Station at Littlehampton. It is one of five National Collection in the United Kingdom.